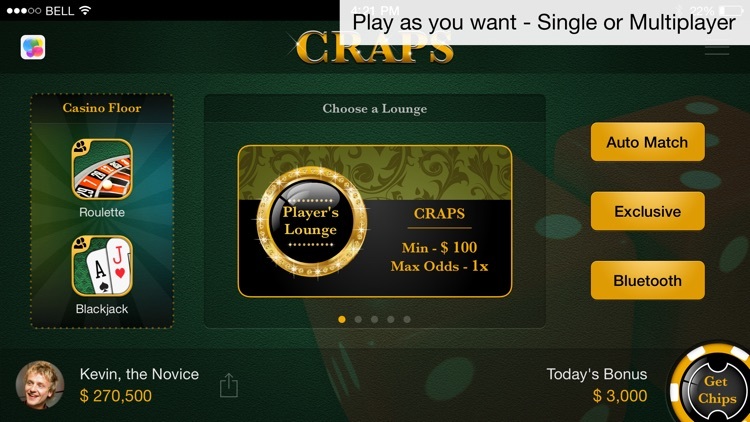 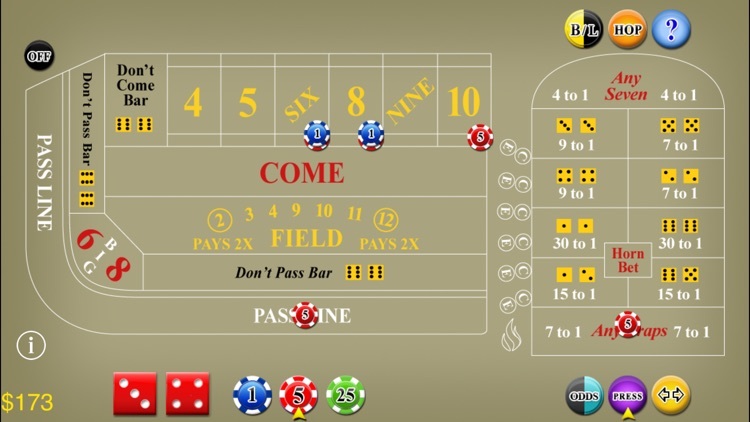 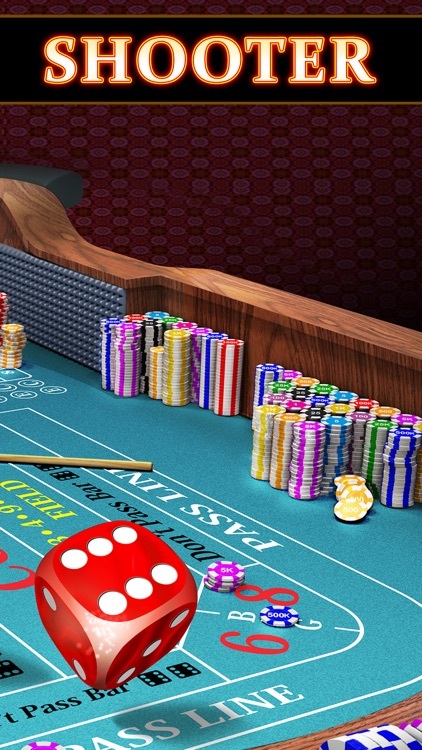 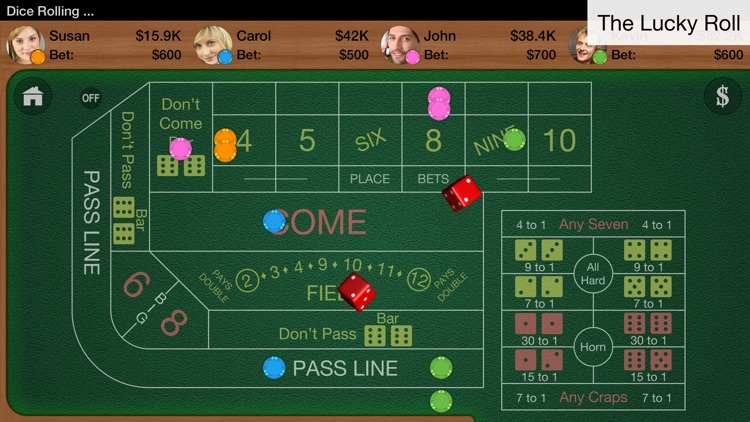 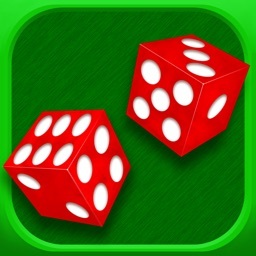 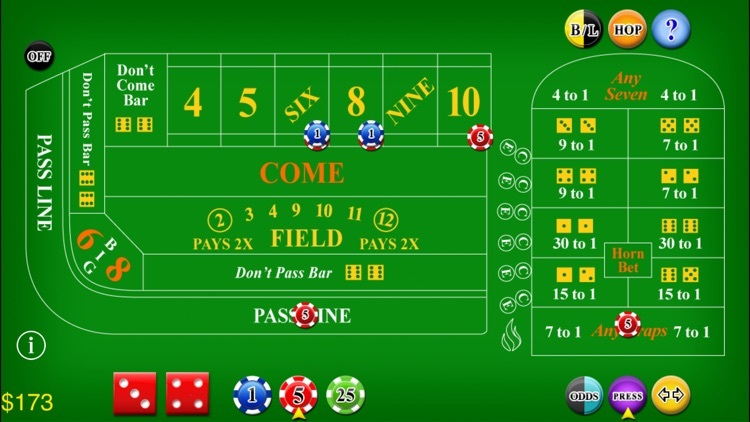 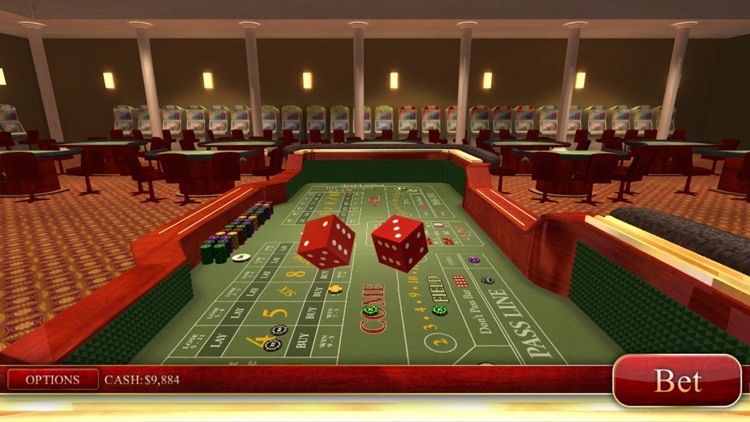 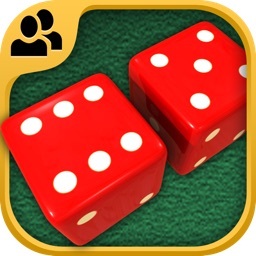 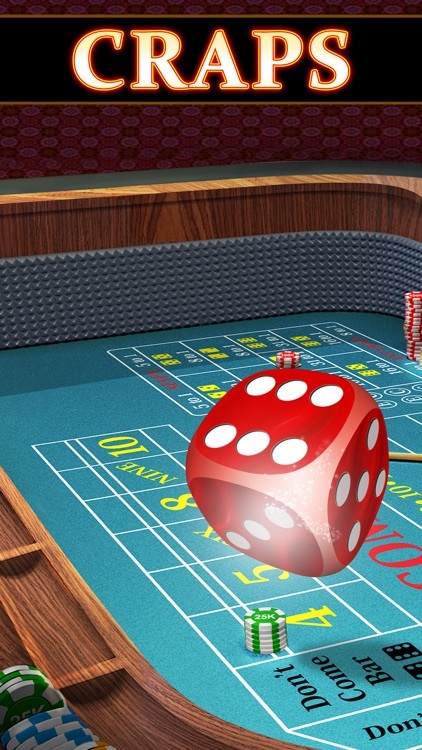 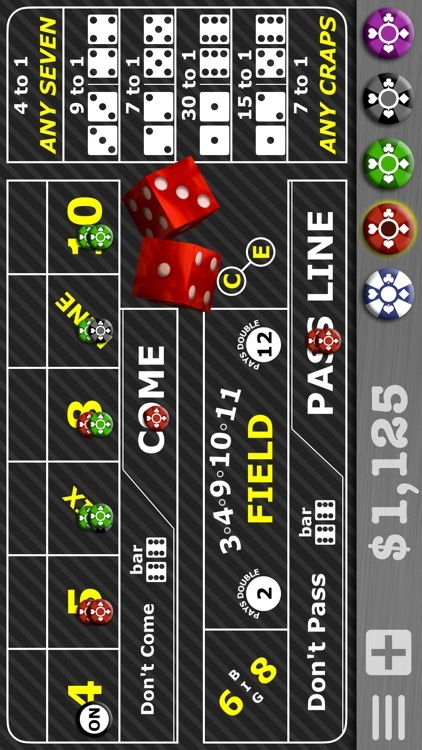 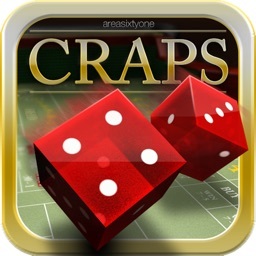 The classic casino game of Craps is available on iOS allowing you to shoot dice in the traditional casino set-up. 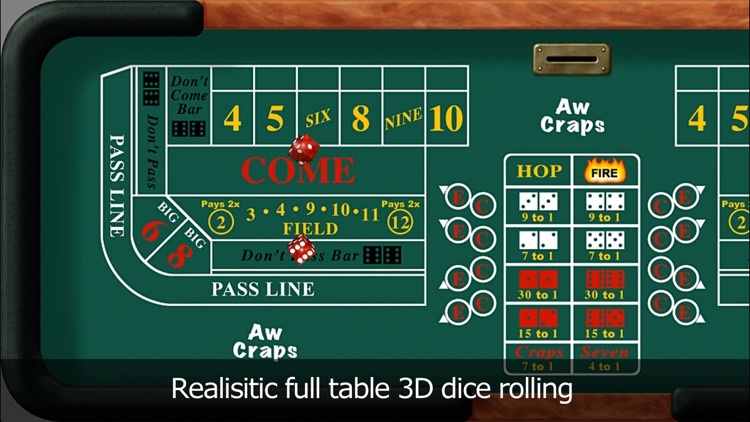 Some games offer authentic 3D dice rolling, while others simply display 2D spinning dice. 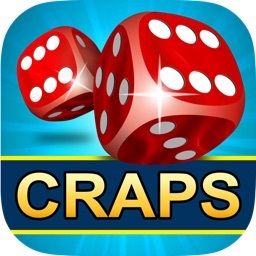 Either way, hope for the best rolls, and maybe even blown on the screen for luck. 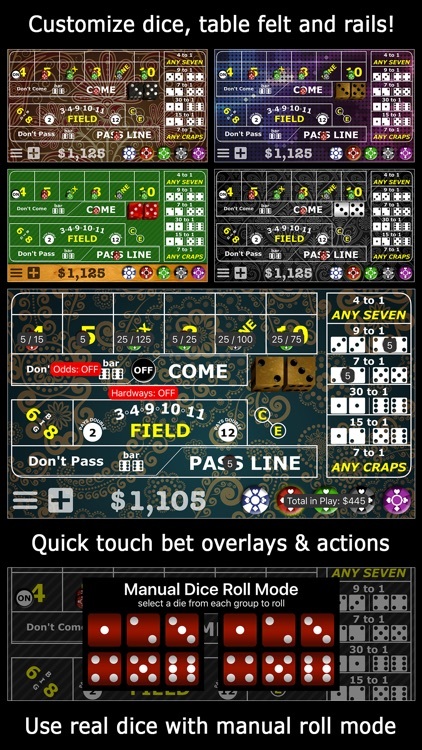 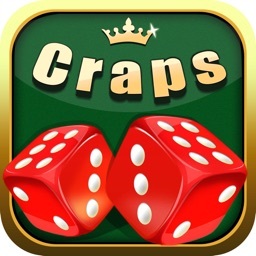 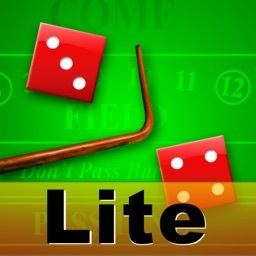 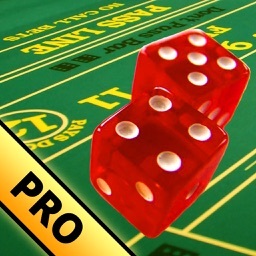 MOST popular Craps game in the store.This is a free craps game that you can play on both iPad and iPhone. 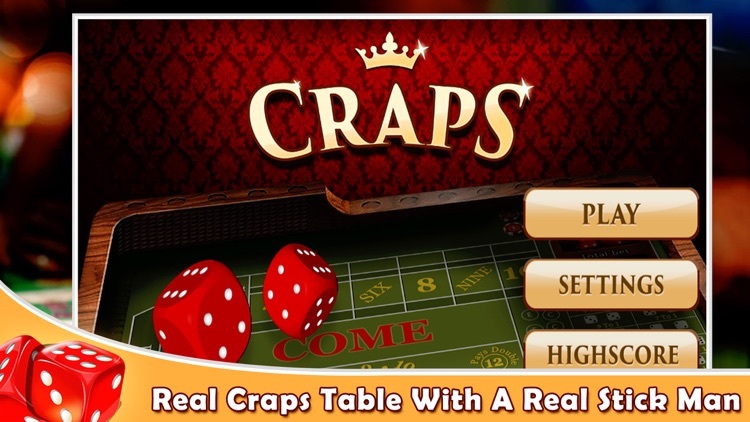 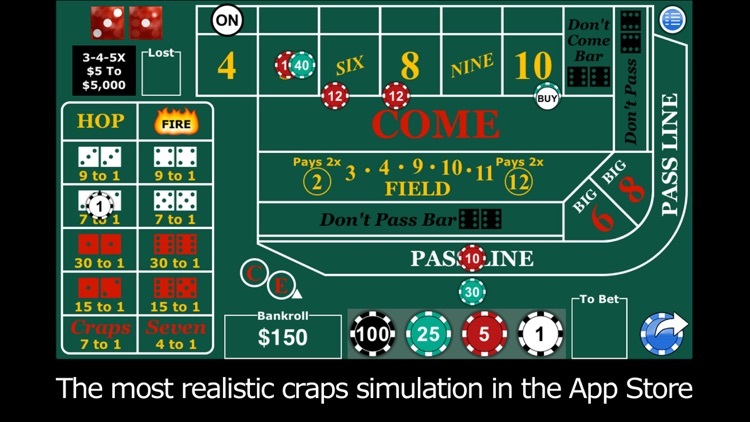 •	Best Craps trainer which helps you in real time casino.